Who was one of the first producers to use a drum machine in pop & hip-hop music? What’s the secret to programming real feel into drums, and turning boring beats into infectious instrumentals? Find out in this interview with industry secret weapon Jimmy Bralower. Login to download Jimmy’s personal presets for H-Delay, Kramer PIE Compressor, PuigTec EQP1A, and SSL E-Channel plugins. 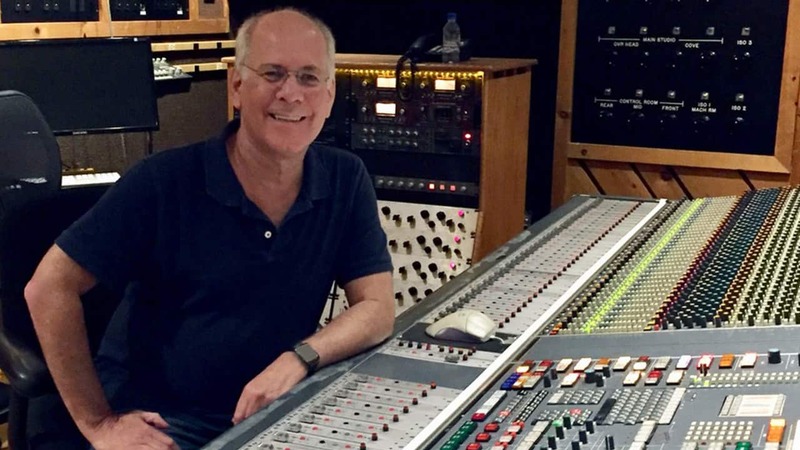 Grammy Award-winning producer, mix engineer & drum machine argonaut Jimmy Bralower weaved a hybrid acoustic/electronic sound into pop music that has forever changed the way hits are made. His skills as a Programmer and Arranger at a time when technologies such as the LinnDrum, Simmons SDSV and TR-808 were brand new led to the first ever RIAA Certified Gold Hip Hop record, and an excess selling of over 350 million records worldwide and still counting. From the metronomic timing of disco and the introduction of 24 & 48 multitrack recording, a new style of music production emerged in the early 80s. It was at NYC’s famous Power Station Studios where new technologies – combined with a talented staff and legendary producers like Nile Rodgers, Tony Bongiovi, and industry ‘secret weapon’ production team the Killer B’s (with co-producer Jeff Bova) – graced over 80 million RIAA-Certified Platinum records for artists such as Peter Gabriel, Hall & Oates, R. Kelly, Celine Dion, Eric Clapton and countless others. How did being a professional drummer help you in programing breakthrough machines like the LinnDrum, Simmons SDS, and Roland 808 in the early days? How were you able to get that incredible feel and musicality out of these machines when they first hit the scene? You gotta feel it. It’s about using the right sound for the track and knowing how to feel the music. I would always try to play the part physically on pads with sticks, or with a keyboard. Even if you’re not a great drummer, the nuances you play naturally with your hands, or when tapping them out, is more performance oriented than just typing in even velocities, or clicking in the data. The processing, the gear and FX are only there to massage it. When you start breaking things down mechanically during tracking, it stops feeling. Save the science and enhancement for the mixing stage. Back at the Power Station [studios], we used to run tracks through the Pultecs [Pultec EQP-1a and MEQ-5], for harmonic distortion. When I needed to punch up the drums, I would combine the signal of two Pultecs to get the drums to cut through in a mix. I would use the EQP [Pultec 1-A] to punch up the top and bottom on snares. Nowadays, I’ll use the PuigTec EQs on individual drums and the whole mix to adjust the shape and boost the attitude of the whole package. They’re great for overall clarity and warmth, and they just cut through. One trick I used when sequencing was putting a keyboard or synth pulse in time with the rhythm of the drum machine. If there’s nothing musical playing exactly along with the machine, it tends to sound like it’s kind of just floating in the track. If there’s another musical element in-sync, and locked with the drums, it’ll breath together and sound tighter. ‘The Breaks’ was me playing live drums, pre-drum machines. ‘Basketball’ was all programmed. We sampled a basketball being bounced and had Linn Electronics burn a chip to put in the LinnDrum, which we used to fatten up the kick & snare. We liked to include at least one live element just to make it feel alive and loose. When you’re talking about ‘feel’ stuff, to me it always comes down to physically playing something when you’re laying down drum parts – even if you play it unquantized briefly, and at a slower tempo. Even if you’re not a skilled drummer, you can always go back and speed up the tempo later; all you’ve got to do is get one or two in a row that feel right, scavenge them, and then plug ‘em into the track. How do you create realistic drum fills or rolls with a drum machine or samples, and how do you incorporate that naturally into the rhythm? Easy, I cheat! We didn’t have the options we have today with plugins. Real-time programming was our best option, and probably still the best option today as far as sounding natural. If you’re going for really-authentic, the easiest thing to do is go play a drum roll on an actual kit or individual drum; sample it and then work it into the track. If you have a drum sample, or if you’re programming a sequence that has multiple velocities, the easiest thing to do is grab something like an Octopad and a drum stick; punch in and try to play it out yourself. When I’m gluing everything together on my drum bus, nowadays I’m using the PIE Compressor / Limiter [Kramer PIE Compressor] to give it some more presence and magic. I’m using it on individual tracks as well. Back in the old days, truthfully, I probably wouldn’t have even tried to do a proper roll on a machine because it would’ve sounded so fraudulent. These days, depending on what genre you’re talking about, that full-velocity sound is what’s in-style. The machines back then weren’t the tools available now. A great example of playing the machine along with the track in real-time, was when I worked on Celine’s stuff, [Celine Dion]. If you listen to the song ‘It’s All Coming Back to Me Now,’ the song is built around the live performances of pianist Roy Bittan, and Celine’s vocal. There’s no standard timing, no click-track, and the tempo is constantly changing. I integrated the sounds of a real drum kit, along with all the percussive samples I had available at the time. You hear sleigh bells, castanets… it’s not just machines or samples. I created a complete rhythm package catered to the song specifically. At first, I programed the drums to the entire song but it didn’t feel right. So, I decided to play the track, and tap-out the drum parts live because it was just easier, and it felt better than the programing sound felt. To quantize or not to quantize: how do you create unique feeling and stay in touch with the grid without going out of time? There are good drummers and there are bad drummers. To simply take the drums off the grid, and take them out of time doesn’t mean you’re giving the track any feel. That just takes the drums out of time. Just putting a swing on it may seem like a natural thing, but it doesn’t always give you the right feel – you’re trying to artificially create an unnatural thing. The classic drummers that created all those famous breakbeats heard in hip hop—[Clyde] Stubblefield, [G.C.] Coleman, or any one of James Brown’s drummers—those kits were usually tuned up, and had more crack and ring, therefore sounding on top of the beat. The tuned down approach — Al Jackson on the Al Green & Stax records, those drums sound little fatter, they tend to sound relaxed and behind the beat. If you want your sound to feel tighter, try using higher-pitched drum sounds. Use samples with less decay. It’ll feel on top of the beat. Even though both patterns could be dead on, one of them has a different decay, and pitching the drums gives it a totally different feel to the rhythm. It’s a bit of a psychoacoustic thing. With pads and sampling, if you trigger a sample like two milliseconds in after the beat, it’s going to be late. But that might be the sound you like. I usually never moved something off the grid. I’ve always tried to work with the sound and the feel rather than slide things off the grid. Another thing you’ll find is that if you mess around with the same groove on a different machine, it will sound and feel totally different from another machine running. Don’t forget, we’re simulating here. What strategies did you use as far as sequencing phrases with drum machines and keeping them interesting throughout the entire track? The rule is to serve the song, or the main performer. My whole thing with the Simmons and the LinnDrum was to never draw attention enough to it in a song that people were paying more attention to the drums than they were the singer and the music. One of my techniques was to never use the same kit or set of sounds that I assembled for another song. I would always start each track from scratch with a fresh combination of sounds. This allowed me to be more reactive rather than finding a quick fix. This also gave each record its own little persona. On the song I did with Cyndi Lauper, ‘True Colors,’ the basic track was recorded live with Cyndi singing, Peter Wood on keyboards and me with the Linn 9000. I preset a tempo & started and ended the song with the programmed sequence to begin each take at the right speed. I'd use the loop as a count off & we performed each take in real time, taking tempo cues from Cyndi’s performance. I did the drums by playing the pads along with the vocal & electric piano in real time. There was an 8th note delay with repeats on the conga pads to give it a floating feel. In Pro Tools, I’ll use the H-Delay Hybrid Delay to create that sense of depth and ambience on my percussive elements. The tap function gives the flexibility for live playing, and it has that analog personality and sound of classic outboard gear. My big thing is about reacting to what I’m hearing. The whole idea is to capture your ideas and creativity before you actually start thinking about it. More important than anything, the first thing you should try to do is get a reaction to what you’re hearing, record that, and listen to find if what you did is a good starting point. It’s the difference between buying a suit off the rack and going to a custom tailor. In the earlier days, I had a LinnDrum and I had a Simmons: one was samples, one was all electronics. I’d layer sounds from different machines, use different samples, or use acoustic drums and percussion mixed in. For example, I would use the Simmons to color the sound of the Linn, to add some sizzle to the snare, or some decay to the kick drum. One of the tricks I’ll do as a drummer is to play a part out live on an actual kit, and then mimic the same performance with samples. Try taking the live drum track and mix it in with a sample-based performance track. You can mix them together to create something that feels a little more unique and in-your-face, opposed to just the roomy acoustic drum sound. It all comes down to committing yourself to the sound you want to achieve. The quick fix doesn’t get the higher-level results. You’ve got to work for it. Just remember to always serve the song; always serve the artist. Do you ever use the arpeggiator? Is it sacrilegious to a guy like you? Is it possible to use an arpeggiator without killing the vibe? When I’m lazy… (laughs). Just kidding! I mean, I usually would use more of a repeat function. On the Linn and the MPC, there was [and still is], a ‘repeat’ button, and it was touch-sensitive to the pad. If you set that repeat button for 8th or 16th notes, you can then set the velocity pressure. I used that function all the time to make nice hi-hat, or shaker parts. That was a real quick trick for keeping the feel while reacting. There’s some music today that’s made by people who aren’t proper drummers per say. That sort of steady, full-velocity hi-hats, kicks and snares; some really mechanical stuff in certain genres like EDM, Techno and Trap; and that’s cool. But for me, the big thing is there should be as little space as possible between what’s in your head and what’s coming out of the speakers. The best practice is to minimize the time your ideas spend in your head and get them into your DAW or computer. How do you add realism to the rhythm with MIDI? How do you make electronic drum sounds and samples breath like a real player? The trick is to understand how an actual drummer plays – in the sense that in between backbeats, there are those ghost notes and dead hits that give a drummer his or her signature pocket. These ghost notes usually sit in a certain place in the performance as part of the natural body of motion in the rhythm. If you’re a drummer, you know exactly what this is. It’s just kind of a drummer’s personal, internal time more than anything else. The question is, how do you get all that into your computer? For me, it’s worked if I could play a little bit, even on piano keys, just to get a couple of bars out – even one bar that comes close. I can then take that performance, go back and turn it into what I’m looking for. Get the right take with the nuances you want and then work from that. To this day, many try to emulate the sounds and textures you created on so many hits. How would you compare your approach back then to what you hear today? Well, the difference is that most people in those days didn’t have all the technology: the sound and sample libraries, the DAWs; and we only had the sounds that were in the machines and the sounds we could create. Our approach was much different back then. We used the TR-808, which is amazingly still living strong in today’s music, along with a very small set group of sounds. There was the Oberheim DMX, the LinnDrum, the [Roland] CR-78; and later came the Alesis [MMT8] and the RX5 [Yamaha]. Each of those companies’ machines had a sound all their own – the sounds that were built in. You couldn’t swap samples. We were working with a very constricted universe of tones. The other thing was when I started programming, producers and artists would come to me looking for the drum machine to sound more like a human drummer. But once hip-hop artists and DJs and people who weren’t necessarily considered traditional drummers started sitting down at these machines and programming beats without a drummer’s sensibility, they would come up with rhythms that just sounded cool in the machine had nothing to do with playing the real drums. When that started, you had a whole other world of beats, and a whole other palette. At the same time, sampling came in. Everything we did was affected by that moment in technology. In those days, they wanted the drummer to play like a machine (play perfectly), and they wanted the machine to feel like a drummer. Using a machine to play a drum part was a new thing in the 80s, and then it evolved. If you wanted a big snare drum with a room sound, you couldn’t just get it off of a menu. If you didn’t know how to use EQ, reverb, or a gate to make the sound, you didn’t get the sound. You needed these things to add color to your drums. Today, you can insert an H-EQ [Hybrid Equalizer] or R-Verb. I’ll set up auxes for GTR Amp & Stomp boxes, and run drums through those to dirty up the sounds. I made a lot of records that were SSL driven. Nowadays, I’ve got some pretty powerful console emulations, like the SSL E-Channel, Scheps 73 and Abbey Road Series that sound just like the real thing and carry the same sound qualities we used to seek when made our records. We were exploring the possibilities. There was no rule book; we just kept changing. But today, we have such a palette. It’s more of a menu-driven version of this. When somebody today says, ‘I want that big room sound.’ It’s like, ‘Where’s that sample?’ Or, ‘I want it to sound really close to whoever’s record.’ And you can now easily find the exact sound. In those days, you actually had to make them. My advice would be if you really want to be great as a producer, an arranger, or composer—even if you’re just starting out, you need a good foundation. From there, you still gotta do your homework. It’s like saying; ‘I like pizza, so I’m going to open up an Italian restaurant.’ There are a lot of guys who don’t learn, so in today’s music, the technology is still moving forward, but the center of experience isn’t the same. People used to request session drummers to play more like a machine. It then created a demand for the machine to sound like a real drummer. Nowadays, producers and engineers are using software to get the drums to groovin’ like a real drummer again. What’s in store for the future of the pocket? If somebody else asks you to work on their music. If you’re doing drums, or if you’re mixing: the whole idea is, ‘What are you trying to achieve, and how are you going to do it?’ You should be thinking about what you need in order to make the record you’re trying to make. On the professional level, most of the time, we work with people that are feeling and hearing stuff in their head. As a musician, engineer or producer, part of our job is to articulate what those feelings and articulations are musically, and to translate that cleanly in the music. What are the purposes of your sonic choices? Are they important to the song? What are actual, technical aspects about your choices? It’s always just more questions and you get more answers. 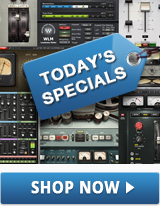 It’s the difference between buying your sounds off the rack or custom tailoring the sounds specifically for your song. Find the sounds that are going to work best for the project. And these days, you also need to have some engineering and recording skills in you! You may have every sound on your computer, but you still gotta figure out where the right one needs to be sitting and how. The same thing goes for the plugins! I’ve got a million plugins, but one of them is going to work for this particular sound, and the other one isn’t. So knowing your stuff, spending a little time getting to know it—not just collecting stuff—is another skill. Once again, if it flows in the rhythm of the moment… it’s all about reacting. If you’re not reacting anymore, then you’re not making music.